Hey all question do you guys think these Halo Headlight would look good on my silver lude? If not what's a good kind to have for aftermarket? Not a Big fan of halos. They look ricey to me. I think retofit headlights look 100 times better but they are pricey. I'll take a look at them thanks. yeah retros are the way to go. sad thing is, i cant justify paying upwards of 600 bones for headlights. but you have to buy projectors, lamps, etc...it adds up. prelude1897(brian) is the guy to talk to if you really want retros. hes been doing it forever, and ive seen his work in person, and you cant get any nicer than his work. Yup brian will set you right! Sarcastically, "yes get your depos from ebay!" i like those but i didnt have 300$ at the time. so i got these instead. they were built really good and that was a shock. I like the halo look. Beamers do it all the time. I have even seen chargers with them and it just makes them look mean. If a 5th gen had them with the hood conversion to cover the headlight a little then I think it would look freakin awsome!!! 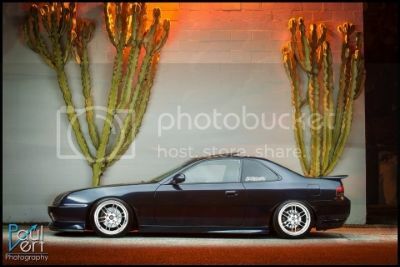 Looks ricey in my opinion. Rather have those Depo black housing ones. You can have your lights retrofitted with halo LED rings, believe it or not. It'll probably cost more than buying halo headlights, but using OEM headlights presents higher quality. If you want retrofitted halos then check out: HID Projector Headlight Retrofit for Subaru, Honda, BMW, Scion and More | LightWerkz.net they also do regular retrofits (HID projectors); they did mine. Wow. I'm surprised at this forum lol. Does nobody on here do their own retrofits? That website not only has every part you could possibly need, it also has THE best forum of all the info on your project, along with VERY knowledgable and helpful people. as far as the 5th gens go, I would buy the DEPO blackhoused ones and do my own retrofit, using TSX projectors and the clear lenses from that site, and E36 shrouds. Or just use OEM headlights, and paint the shrouds semi-flat black. Then get TSX projectors with E46 Shrouds. I have those same headlights with the black housing and they work great and looks awesome. I paid $325 with the HID combo. I get nothing but great commits about them..
Last edited by Prelude1897; 01-28-2011 at 10:00 PM. Thank for you're help I will for sure think about that one. What do you charge?